As we all know, the solid-state drives being used to replace spinning HDDs in PCs are expensive in relation to their capacities, which is why cheap ultra-light 'netbooks' universally come with very small SSDs. However, Japanese firm Buffalo has teamed up with a large electronics retailer there to offer special Eee PC bundles that include far larger SSDs for a little extra cash. 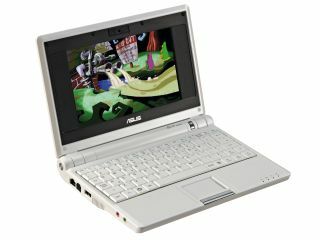 As sold at the oddly named Bic Camera chain of shops, the Eee PC 901-X from Asus comes with the option to add a self-install 32GB or 64GB SSD to replace the standard 12GB of storage. Either option actually has to be swapped with the 8GB SSD that Asus has configured as the D: drive on the Eee, leaving the remaining 4GB of flash right where it is as the C: drive. Pricing is attractive too – the 32GB model costs ¥14,800 (£70), while ¥29,800 (£140) will be enough to add twice as much storage. The OS is Windows XP Home and the expected six-cell battery that can stretch to a claimed maximum of eight hours is part of the deal. Although the bundle is straying a little away from the budget end of the market, on top of the ¥59,800 (£280) Bic charges for the 901-X, that still looks like a pretty good deal to us.